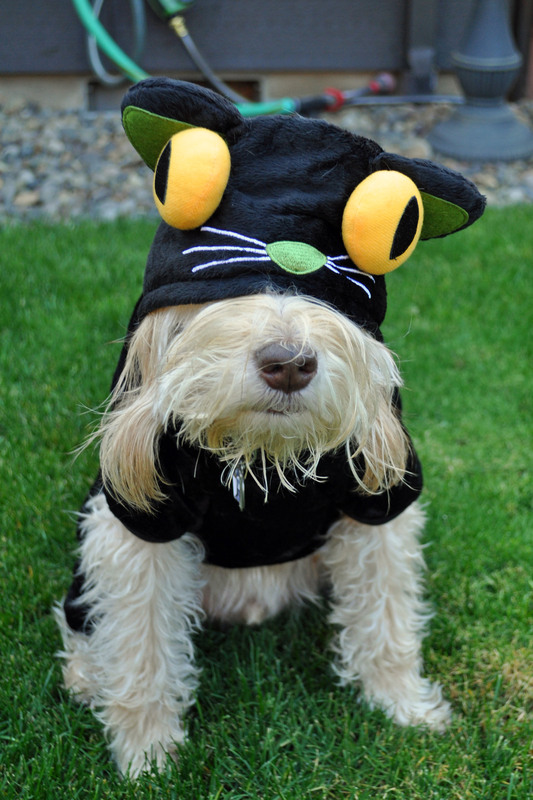 Halloween falls on a Thursday this year, and that’s my normal day to volunteer at Cat Adoption Team. 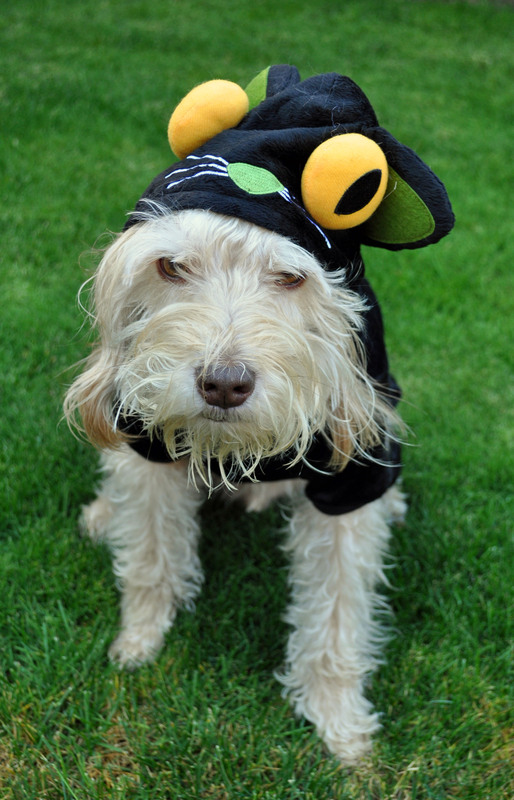 That means I won’t be home to torment my dog with costumes and hand out candy. Sooooo … I decided to celebrate early with a peek at Cooper’s two (yes, TWO) new Halloween costumes. As you might recall, the past two years, I’ve dressed him as a devil, because he pretty much is a little stinker most of the time. Since I have so many cats in the house, I decided what’s one more? 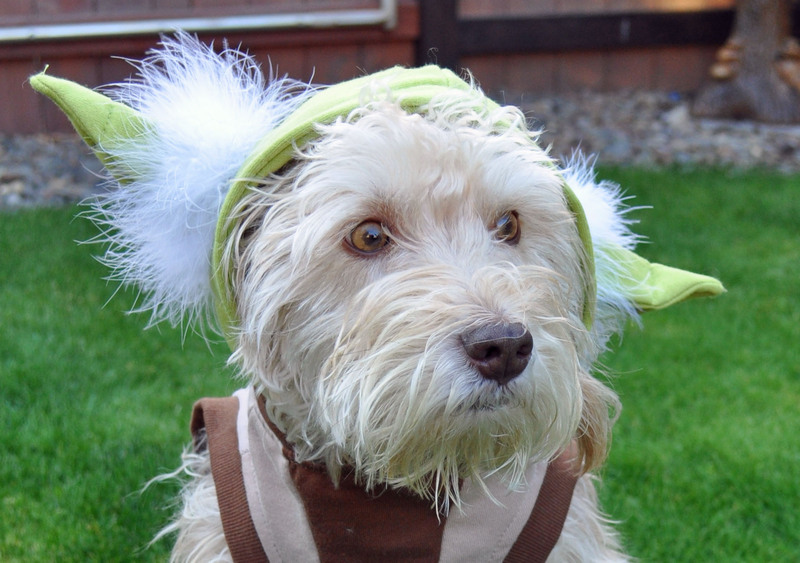 OK, I have to admit that this amused me probably more than anyone else: Cooper as Yoda. Why? 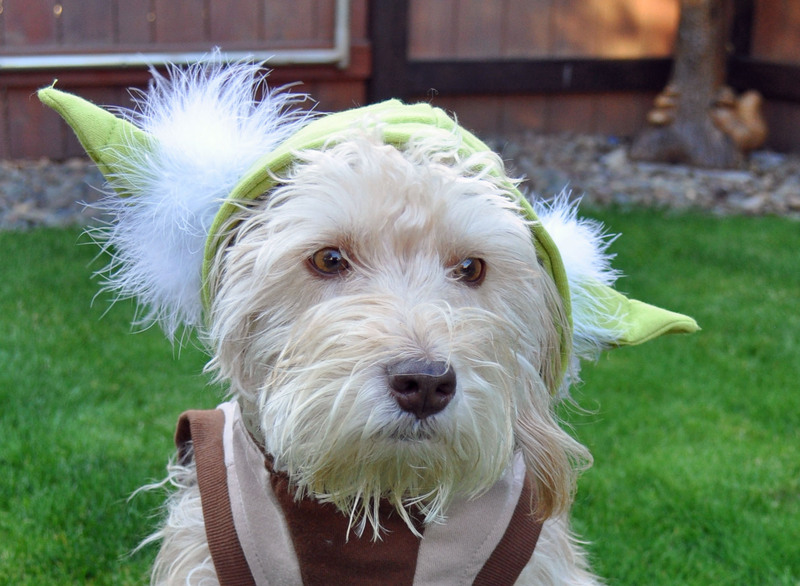 Because my little, insane, frenetic doggie is anything but calm and — well — Yoda-like. Is it just me or does he look a little frightened here? I don’t think it’s because of the costume. Or maybe it was … He could have been horrified at the thought of someone seeing him this way. 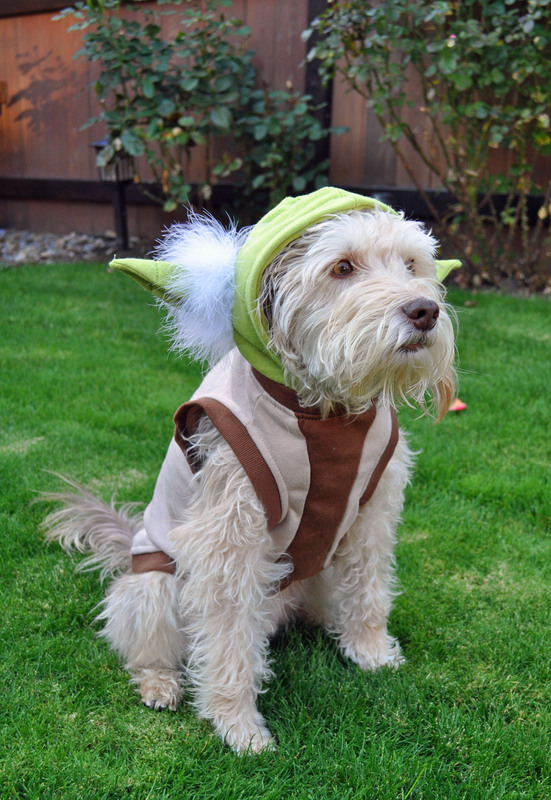 The Yoda costume definitely fits him better physically, but is completely antithetical to his personality. He’s much more cat-like. Heck, half the time, I’m convinced he thinks he’s a cat. Then, he encounters another dog and starts barking his fool head off. Ahhh … but everyone knows I wouldn’t have him any other way. How do I not know you? My volunteer night is Thursday also… I feed all the big rascals! What do you do?